Learn how to organize your fridge like a Pro. When you know what goes where, you will find your fruit and veg lasts a whole lot longer and that’s just one of the many benefits. If the thought of cleaning the fridge leaves you feeling defeated before you even begin, then we’ve got some great news for you. Keeping your fridge pristine and organized doesn’t have to be a 24-hour job. All it takes is a little planning and you will reap the benefits of fresher and healthier food. 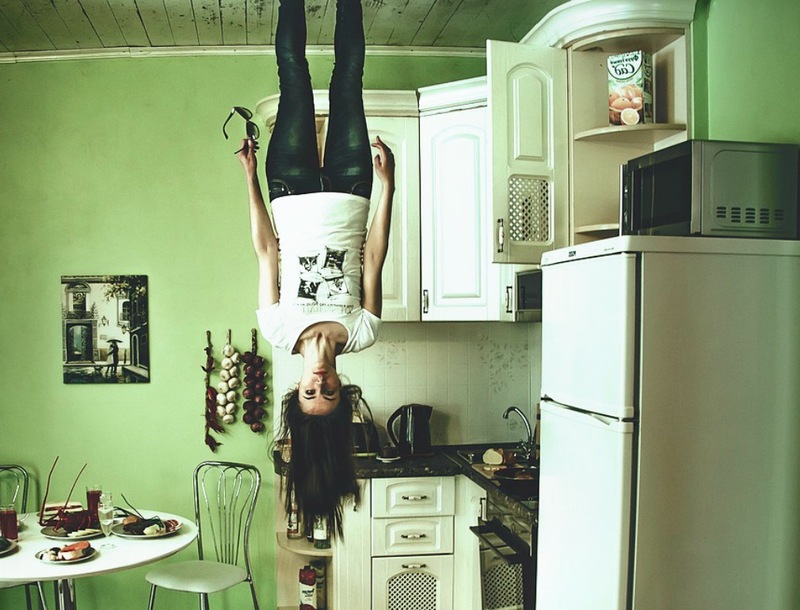 Simple Home Art Decor Ideas shares their top 20 tips for keeping your fridge in tip top condition. It’s about making the right choices and knowing where to place certain items so that you can maximize your available space. 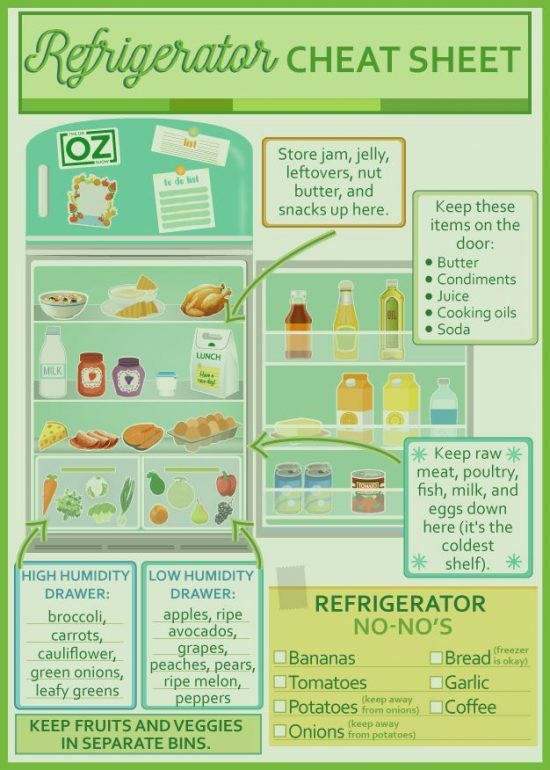 This graphic from Dr. Oz has some great tips for getting your fridge in tip-top shape. Every section of the fridge gets different amounts of cold air sent to it, so it’s important to follow these guidelines if you want your food to last as long as possible and taste its best too. The Door The door is often the place where things get put in a hurry, but it’s important to note that it’s the place that gets cooled the least. Keeping items that aren’t going to be bothered by this temperature change here is always a good idea. Some examples? Butter, juice, cooking oil, condiments and soda can all safely be stored here. Upper shelves These are the perfect place for jams, leftovers, peanut butter, yogurt and other small snacks. The idea is to be sure things are put into smaller packages since the top shelves tend to be warmer the higher up they are. The Lower Shelves These shelves are great for all the items that go bad the quickest – meats, eggs. poultry and fish. Try to keep any dairy items you have near the back of your fridge here since they can easily curdle from temperature fluctuations. Crisper Bins Those drawers on the bottom of your fridge are specifically made for produce. Many come with humidity controls that allow you to adjust the levels of moisture for different sorts of fruits and veggies. As a general rule, vegetables need more humidity while fruits need less humidity. Be sure to take note of the foods that shouldn’t be stored in the fridge. We have a whole post dedicated to how to make food last longer in your fridge. You can read it here.